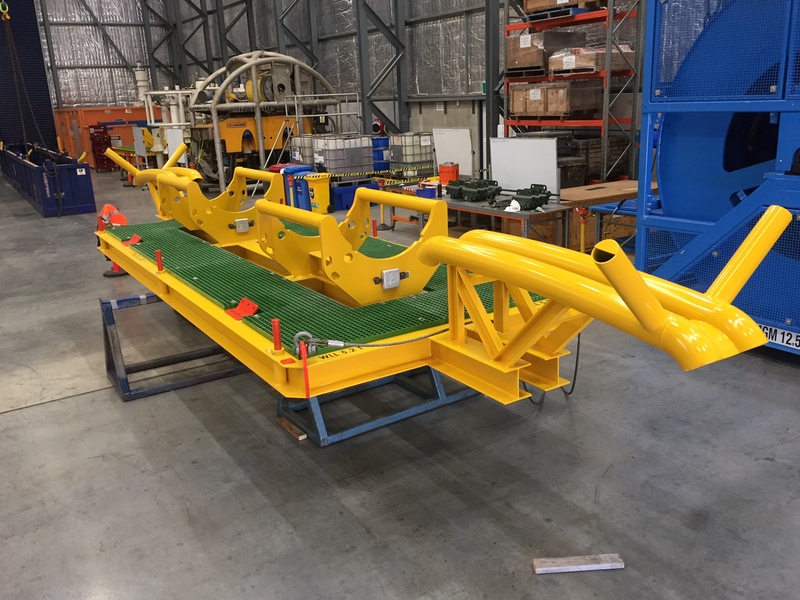 DWS has been contracted by Oceaneering Australia to complete the fabrication of (1) subsea mud mat structure & deck table. 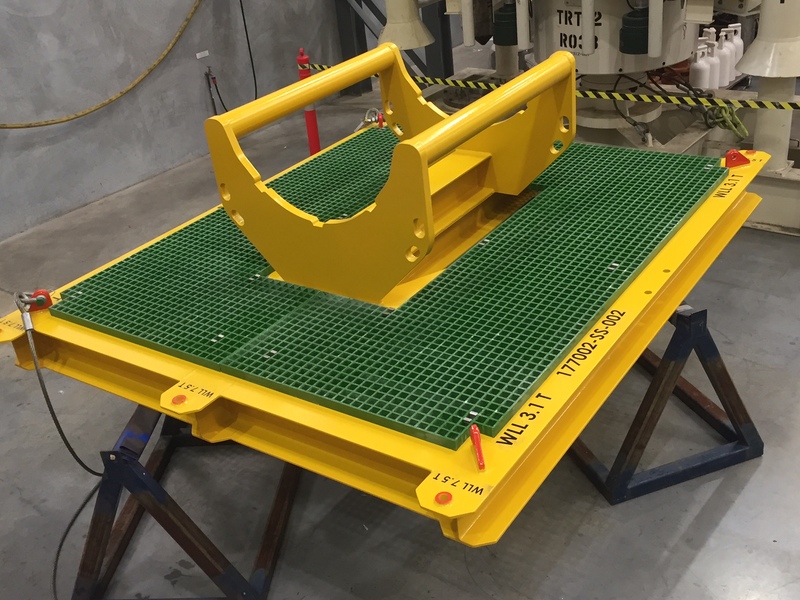 The mud mat & deck table are part of a specialised subsea umbilical work scope being undertaken by Oceaneering Australia for a key oil & gas client in Western Australia’s Northern Water Oil & Gas Fields. 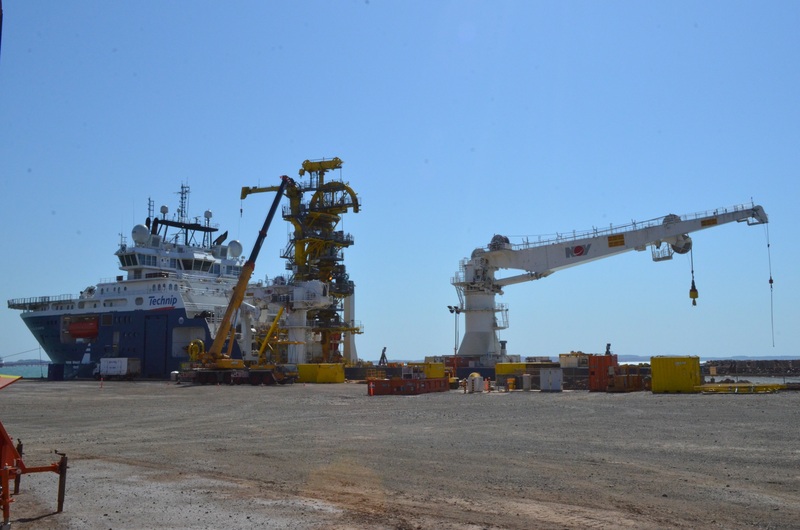 Oceaneering Australia completed its engineering work scope within its new oilfield services facility in Jandakot, Western Australia, a purpose-designed 40,000 square meter site, which was developed to provide highly specialized support services to Australia's oil and gas industry. DWS completed the structural fabrication of the Oceaneering engineered & designed equipment to AS1554.1. 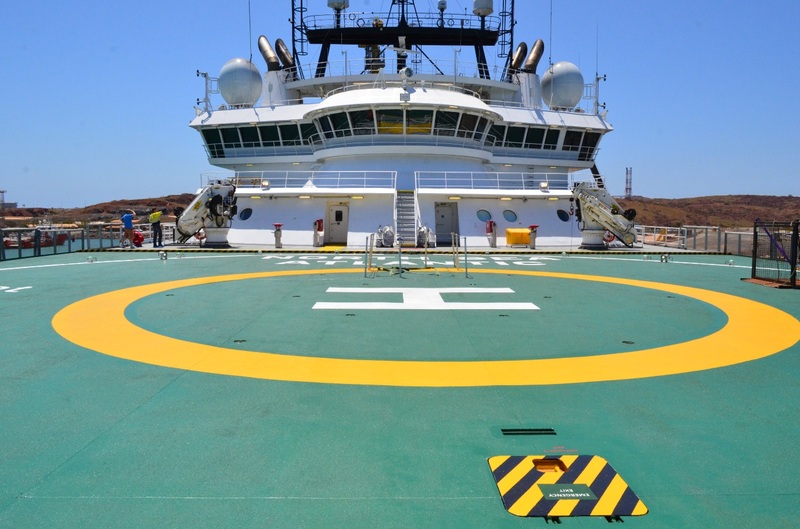 Our work scope also included a comprehensive Quality Assurance package including material qualification & traceability, weld procedure & personnel qualification, and NDT (Non Destructive Testing) including UT (Ultrasonic Testing), MPI (Magnetic Particle Testing) & Visual examination of the weldments. The largest structure, the mud mat, was approx. 10 meters (m) in length by 2.4 meters (m) wide, with a mass of 2.6 tonne (t). This project was completed in DWS’s new Mining, Oil & Gas Facility located at 14 Arvida Street Malaga. DWS supplied the fabricated structures to Oceaneering ready for painting and load testing prior to deployment. Diverse Welding Services thanks Oceaneering for the opportunity to complete this work scope & looks forward to future projects. Diverse Welding Services (DWS) has finished the second and final stage of the Project Bob Upgrade for Perrigo Pharmaceuticals. This project commenced in March 2015, and ran in parallel with the building works within the production facility. The project included major plant & equipment installation, process piping from external storage tanks of IPA & Ethanol to a TGA / FDA Approved Clean Room Manufacturing Facility; inter tank process lines in the mix room, through to two product transfer lines to the depositing lines. The upgrade has allowed the client to increase its batch sizes of production runs, through increased automation and storage capacity. 600 Autogenous welds later; we have been able to deliver our client a traceable, drainable process piping system in line with the ASME BPE design requirements, including passivation using Citrisurf 3050 and pressure testing of all lines. Quality fabrication is only as good as the quality assurance requirements within the pharmaceutical industry & supported by Diverse Welding Services (DWS) validation package, we have given the client all the traceability it requires meet its auditory requirements as a pharmaceutical manufacturing plant. Highlights of the installation included, fully enclosed pipework within the mix room & transfer line, allowing for reduced cleaning times & better cleanliness. DWS completed the installation with one (1) critical plant shut down over 2 weeks. Diverse Welding Services completed a comprehensive site survey & was able to prefabricate a large majority of the fabrication prior to the shutdown window. Diverse Welding Services would like to thank Perrigo for the opportunity to complete this work, and looks forward to watching Perrigo move forward & grow based on its new plant and processes. Diverse Welding Services (DWS) has successfully tendered, and completed a substantial works package for Technip as part of its Wheatstone project for Chevron. DWS was tasked with the responsibility of fabricating 64 Lightweight Blinds Flanges suitable for large bore pipe spool flooding and deployment. The size ranges of the lightweight blinds included 14”, 18”, 24” & 44” flanges. The light weight blind (LWB) flanges design included allowances for ROV (remote operated vehicle) grab handles, round bar protection cage, 2” stainless diffuser spools, Swagelok NRV (non return valves) to allow for flooding of the main pipe spools during deployment, and load tested lifting lugs. All fabrication was qualified and completed to AS1554.1 SP, and required tight quality controls to ensure the final product achieved the client’s specific ITP (Inspection Test Plan) requirements. 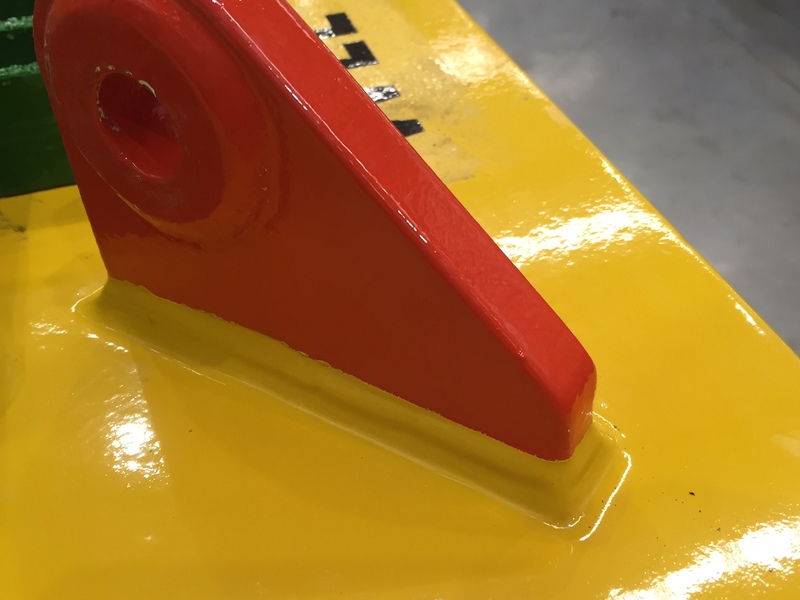 This was highlighted by Diverse Welding Services nominating grain direction requirements on all plate material supplied to ensure any lifting loads experienced were in line with the correct grain orientation. NDT (non-destructive testing) comprised 100% MPI (magnetic particle inspection), and load testing certification of all lifting points. All work was completed to the Chevron Wheatstone Supplier quality system requirements including the supply of a SDL (Supplier Data List) & PDB (Product Data Book). To ensure that the installation method was efficient for the end user, Diverse Welding Services supplied all B7 studs, washers and nuts required to complete installation, including custom centering studs up to 3” BSP (British Standard Pitch) by 1 meter overall length. The fasteners were supplied on pallets broken down by flange size to ensure ease of installation. It comprised over 3000 units. Total tonnage of the fabricated work scope was over 10,000 kilograms. This project was fabricated on a critical path timeframe to ensure all items were ready for installation as large bore spools were ready for load out at AMC Henderson (Australian Marine Complex).